I hung on a rock face overlooking the Yanze river and “Secret Valley.” It was another “what is my life?” moment, one of many I have experienced thus far in Rwanda. Stubborn determination overtook physical exhaustion, and I eventually traversed the extent of the vertical route buhoro, buhoro (step by step). The writer in me finds poetry in unconventional places, and I found something lyrical in Sraith’s advice. I acknowledge the fact that I’ve failed you- you, my audience consisting exclusively of family members and occasionally a bored friend from university. I owe you, and I will try to rectify my negligence in this post. In some ways, though I’m grateful beyond words kuko ntuye muRwanda (because I live in Rwanda)-professionally and personally-I lost sight of Sraith’s truth. Accelerating recklessly through adventures, deadlines, personal goals and new friendships, I lost sight of my rock. “Be my rock of refuge, to which I can always go; give the command to save me, for you are my rock and my fortress” (Psalm 71:3 NIV). Muhabura deserves its own subheading. I’m addicted to challenge. Tell me I cannot do something and I will expend every ounce of my energy attempting to disprove your underestimation. If you want to see Danielle in her full glory, tell her “no.” So it was that Katie (likewise a challenge junkie) and I set out to climb Muhabura, the toughest climb in Volcanoes National Park, attempted only 10 times annually and with a 50% completion rate during rainy season. 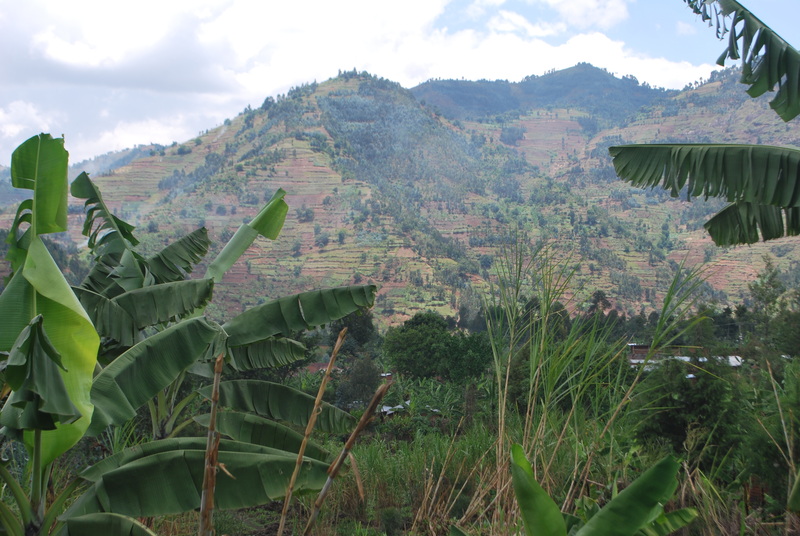 The Rwanda Development Board (RDB) does not advertise Muhabura to tourists, and locals greet Muhabura aspirations with raised eyebrows and disbelieving well-wishes. Katie and I (both abakobwa batoya, or “small girls”) summited Muhabura (a crater lake bordering Uganda and Rwanda, at nearly 14,000 feet) in three hours and twenty minutes, an hour and a half faster than the average climb. “You are the heroes of Muhabura,” Patrick, our guide-who never attempts Muhabura without three Red Bulls in tow-informed us. “You know, one of the only things that went right during the past 24 hours was the fact that we successfully climbed that volcano,” I commented to Katie on the bus back to Kigali. It was not an inaccurate statement. Our excursion began the previous evening. My organization maintains a staff house in Musanze, a northwestern Rwandan town outside Volcanoes National Park. 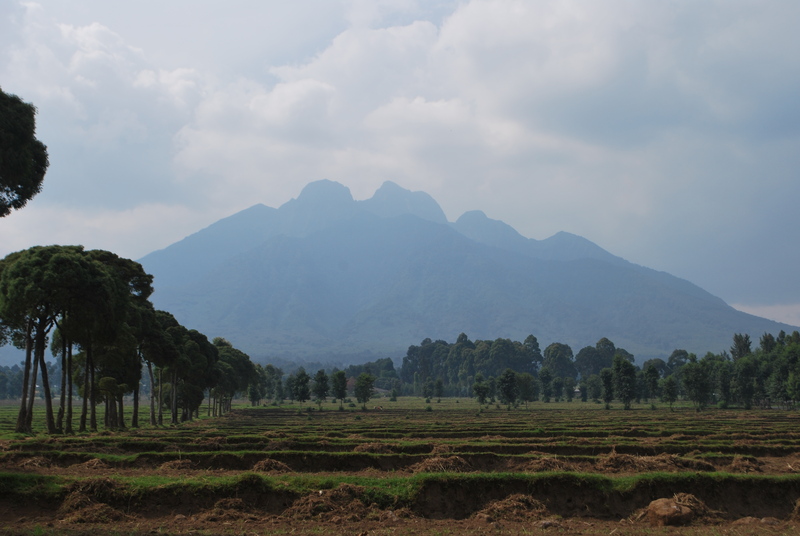 I work from Musanze 1-3 times per week. On this occasion, I had forgotten to inform our night guard that Katie and I planned to stay in the house Friday night. Inside the house but locked out of every bedroom, we swallowed our pride and called another Musanze-based friend as midnight approached, the morning’s 5am wakeup and 7 hour hike proving powerful incentives. Following a 6am coffee break at Africana, Musanze’s premier nightlife destination, amidst still-intoxicated young Rwandans and the fizzling embers of Friday’s fire, we set off for Muhabura. An artifact of frequent work travel to Musanze, I’ve now befriended nearly every park guide and driver at Volcanoes National Park (an exaggeration, but not an egregious one). That said, our driver, our guide, and the guide who arranged our reservation were all personal friends of mine. Muhabura stands alone among the Virunga volcanoes for the directness of its ascent, comparable to climbing up a set of stairs for five hours, with rain, mud, hail, and thorny foliage thrown in for good measure. Muhabura is a fickle character, a marriage of sadistic physical trial and arresting natural beauty. Fatigued, we greeted a crew of Ugandan trekkers at the summit and witnessed, bemused, a microcosm of East African cultural variation. The Ugandan crew consisted of two tourists and three park guides, only one in uniform, with beaming smiles (“I have the best smile in all of Africa,” one boasted) and small talk: “How is Rwanda? Oh you like chapatti? We have chapatti in Uganda too! You should come visit me in Kampala!” Our Rwandan contingent consisted of Katie and myself accompanied by our own personal Rwandan military unit (“3 soldiers per tourist on every hike”) and a guide equipped with a state-of-the art GPS who interrupted his Ugandan counterparts to explain that, “We have to begin the descent, we can only rest at the summit for exactly thirty minutes, it is for the safety and security of the tourists.” Patrick assured us that Muhabura’s Ugandan slope was much more forgiving than its Rwandan cousin- true bragging rights belonged only to those who tamed her ascent from the south. My morale plummeted with our altitude as we dipped below the tree line amidst persistent hail. I had taken my insulin pump off to protect it from the rain, and I began to feel my body protest the absence of medicine. Losing my balance more than may be expected (and circumstantially this was a very high threshold-try walking downhill for three hours in the mud) and being caught more than once by my very attentive companions in the Rwandan military, I verified that my blood glucose was dangerously high. By the time that we reached the car my health was on the mend, but not before Patrick offered to “call his direct line to the health center” because “the Minister of Health has been insistent about this, there is insulin at every [remote, rural] health center in Rwanda, because [diabetes] is becoming more common among the locals.” Parents, take note. High up on a volcanic mountainside somewhere between Rwanda and Uganda, I was in good hands. Cultural differences can be challenging. They can be exciting. They can be frustrating. But sometimes they are amusing. There is a roadside snack shop on the highway to Huye, in Rwanda’s southern province, called “Amen House of Milk.” There is a barber shop in my neighborhood bearing the sign “Kazi ni Kazi” (Work is Work). As a recent graduate with few credentials and even less experience, I could not be more thankful for my professional experience thus far in Rwanda. I get paid to write, travel to the most remote and beautiful places in rural Rwanda to conduct interviews, and engage in my own small-scale form of investigative journalism. I get to practice my Kinyarwanda when visiting partner families, my translator remarkably tolerant of my slow, measured Kinyarwanda introductions. I love examining the way culture weaves itself into language, words betraying norms and social prescriptions. In the Francophone linguiverse, a group of mixed-gender nouns automatically assumes a male identifier. Praxis is a favorite word of mine, denoting the intersection of theory and practice (bear with us nerds, we have a lot of favorite words). In my current job, I examine the praxis of media ethics on a daily basis. Coming from an American cultural background (not withstanding my years spent as a college activist), I’m primed to interrogate, scrutinize and expose, viewing destructive inquisition as a prerequisite for constructive solutions. Such betrays my difficulty adjusting to an environment in which leveraging critique negates rather than catalyzes progress, and “toute la vérité n’est pas bonne à dire” (“all of the truth is not good to say”). But alas, Kigali, I believe we’ve entered the beginnings of a truce. I’ve joined a crew of intrepid adventurers for Sunday rock-climbing outside the city. I’ve found a pitch and a team to provide an outlet for my football nostalgia on Thursday nights. At Kigali’s up-and-coming art studios, I’ve met young Rwandans who visually verify celebrations of women’s empowerment and aspirations for the full realization of democracy. Apart from my immersion in both American and activist cultures, my proclivity for truth-telling and exposure also owes to past experience. For a decade I’ve fought a disease that erodes health in pursuit of intangible perfection. I’ve felt the exhaustion of inauthenticity, because perfection, as an unattainable ideal, is inherently inauthentic. I have a full-time job. I’m applying to law school. I am training for a marathon. I’m living in a different country and learning a new language. But the hardest thing that I do on a daily basis is battle my eating disorder. Why do I choose to reveal this? Well, October 11-17 is Mental Health Awareness Week. And I’m tired of the recovery narrative. I am tired of the binary narrative of suffering and healing, a narrative that allocates no gray area for “survival.” A narrative that ignores the functional dysfunction that so often defines the day-to-day for those unlucky Type-As disproportionately vulnerable to anorexia. I’m telling you because toute vérité est bonne à dire– all of the truth is good to say. So here it is: sometimes I struggle. Sometimes I fail. Sometimes I hurt. But that doesn’t make me less happy. It doesn’t make me less human. It doesn’t make me less whole. My narrative does not conform to the binary. But my narrative is truly, authentically, mine. Who am I to perceive pain? Who am I to embrace pain?